For everything automotive, Swope Chrysler Dodge Jeep Ram in Elizabethtown, KY is the top choice dealership! See What Our Customer Are Saying. Yesterday, the team at Swope Jeep helped my daughter into her first Jeep. I have to say this was the best car buying experience I've ever had. Ryan, Scott, Paul and Greg went way above and beyond to help her. She's young and getting financing needed special attention. Everyone deserves this experience. Go visit them next time you need a ride. I would like to share the wonderful experience my husband and I had at the swipe service department, we had to have my car worked on and the young man that helped us, I believe his name was Austin was very kind and helpful, not very often do men in the auto industry include the woman in the conversation but he sure did, he made sure to explain anything we needed help to my husband and myself, very thankful for the good employees. Zeker gaan kijken als je in de buurt bent. Het is een omweg meer dan waard. This was a first for me - twice in my life has it taken me less than a week to buy a vehicle. It took me two days with JOHN at Swope Chrysler. Super fast, from my perspective. Not pushy, no annoying calls, very polite and walked the deal at my pace. Left with a smile and a new Jeep. Thanks! Last summer I bought a vehicle from Swope from a salesman named Dante. He was great very professional and I enjoyed the experience of buying a car because of him. If you need a car make sure you see Dante. Eric was good as well. For Anything Automotive, Swope Chrysler Dodge Jeep Ram Is The Top Choice! 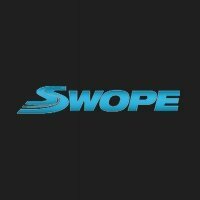 At Swope Chrysler Dodge Jeep Ram we offer an extensive line of new & used vehicles, outstanding service and quality parts for all makes and models of Chrysler, Dodge, Jeep and Ram vehicles. We care about our customers and are committed to providing the best experience to ensure customer satisfaction with every car buying transaction. Swope Chrysler Dodge Jeep Ram proudly serves the Elizabethtown, Louisville, & Knoxville, KY areas. At Swope Chrysler Dodge Jeep Ram in Elizabethtown, KY, we encourage a stress-free car buying experience. Feel free to browse our new 2017 inventory. At Swope Chrysler Dodge Jeep Ram, every customer’s financial situation is important to us. Our finance department works with you and takes the time to find the best financing options to fit your lifestyle. We take pride in knowing that every customer is satisfied with their car buying experience. Our finance department treats our customers with respect, integrity, trust, and enthusiasm to create a positive outcome. See why you should finance your next vehicle with us! Stop by Swope Chrysler Dodge Jeep Ram in Elizabethtown, KY for a visit and meet our friendly staff. We have convenient hours and a full lot of new and used inventory. We proudly serve the surrounding areas of Louisville, and Knoxville, KY. For more information, please visit our about us page. We would like to extend a heartfelt thank you for visiting our website and appreciate your past and future business! We are proud to offer a Swope Friends & Family Referral Program to thank you for your continued patronage. We welcome you to Swope Chrysler Dodge Jeep Ram and look forward to seeing you soon at our Elizabethtown, KY dealership.